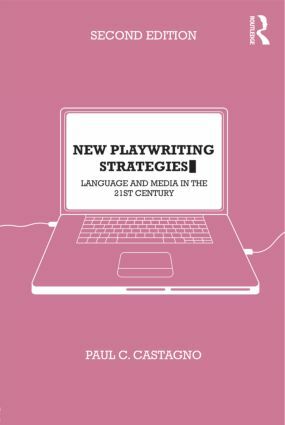 New Playwriting Strategies has become a canonical text in the study and teaching of playwriting, offering a fresh and dynamic insight into the subject. This thoroughly revised and expanded second edition explores and highlights the wide spread of new techniques that form contemporary theatre writing, as well as their influence on other dramatic forms. Paul Castagno builds on the innovative plays of Len Jenkin, Mac Wellman, and the theories of Mikhail Bakhtin to investigate groundbreaking new techniques from a broad range of contemporary dramatists, including Sarah Ruhl, Suzan Lori-Parks and Young Jean Lee. New features in this edition include an in-depth study of the adaptation of classical texts in contemporary playwright and the utilizing new technologies, such as YouTube, Wikipedia and blogs to create alternative dramatic forms. This is a working text for playwrights, presenting a range of illuminating new exercises suitable for everyone from the workshop student to the established writer. New Playwriting Strategies is an essential resource for anyone studying and writing drama today.